I'm very pleased to have picked up another award:- Champion of the British & Irish Underwater Photography Championship (BIUPC) 2017. My photo of a jewel anemone with background sunburst was judged the winning shot in the Close-up category and was also voted the best overall image in the competition. The event is an on the day shoot-out where photographers are free to dive anywhere in the UK and then submit their photos to be judged. The rules restrict competitors to a 24 hour time frame in which to both take and submit their photos, with only limited post processing allowed. The image is an in-camera double exposure. 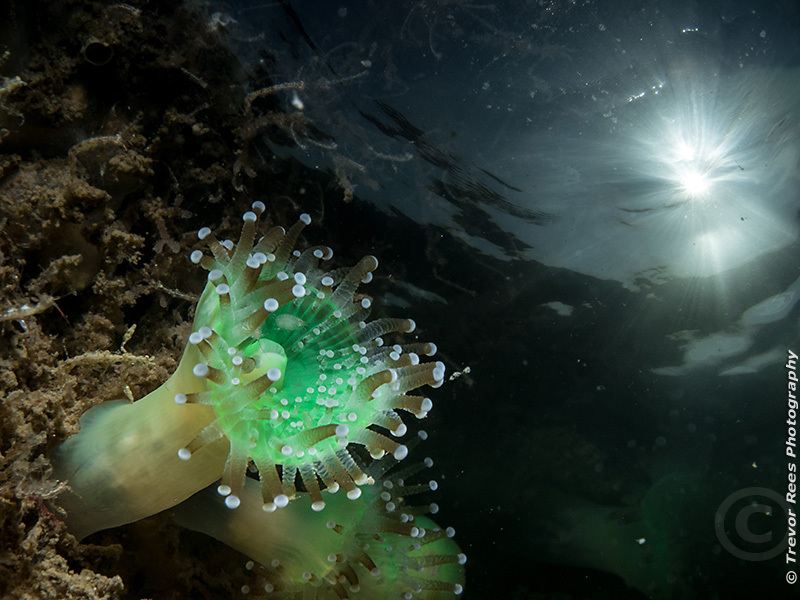 I have used a macro lens for the jewel anemone from a morning dive and a fisheye lens for the sunburst from an afternoon dive. I was diving at Plymouth with Worcester BSAC dive club, on the wreck of the Scyla and a reef at the Mewstone. Olympus Pen EPL7, Olympus housing, Panasonic 45mm macro and Olympus 8mm fisheye lenses.